Segment Editor is the new manual and semi-automated image segmentation module in Slicer. It has powerful tools, but the learning curve can be steep for segmenting more complex cases. Finger segmentation on MRI (Ahmedou Moulaye Idriss): for anatomical atlas purposes. Bones are OK to segment using Grow from seeds, but quite noisy, so maybe other effects could be as good or better. Vessel: contrast not very high, but there is local contrast - it can be tracked with a sphere brush with thresholding. 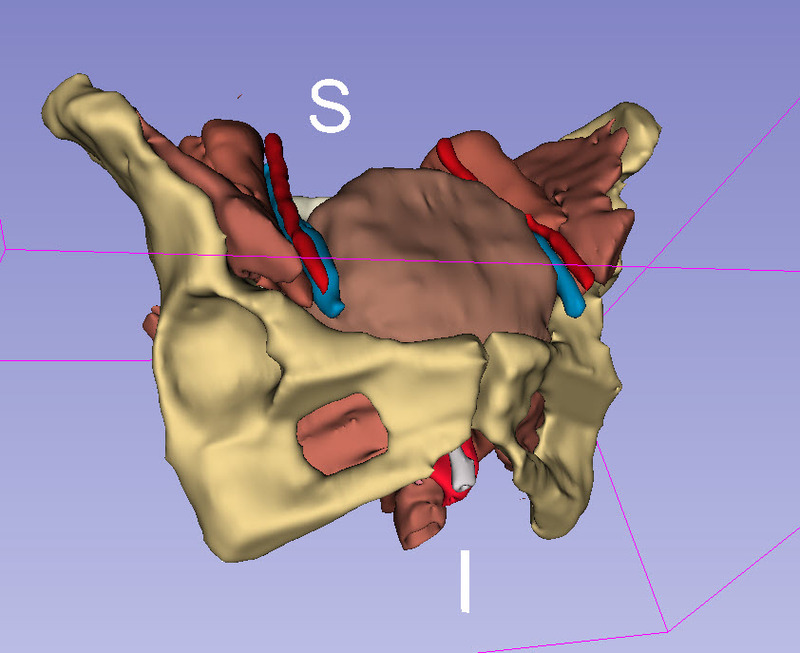 Pelvic organ segmentation (Babacar Diao): Updates on how to use new segmentation features in Slicer-4.10.1.